Ancient pagans made sacrifices to their gods. Animal sacrifice was common in the ancient world. Today, Neo-Pagans do not sacrifice living beings. Some Neo-Pagans may make offerings as part of their spiritual practice. Such offerings may be as simple as pouring water onto the earth as a libation, or as complex as devoting one’s life to the service of divinity. 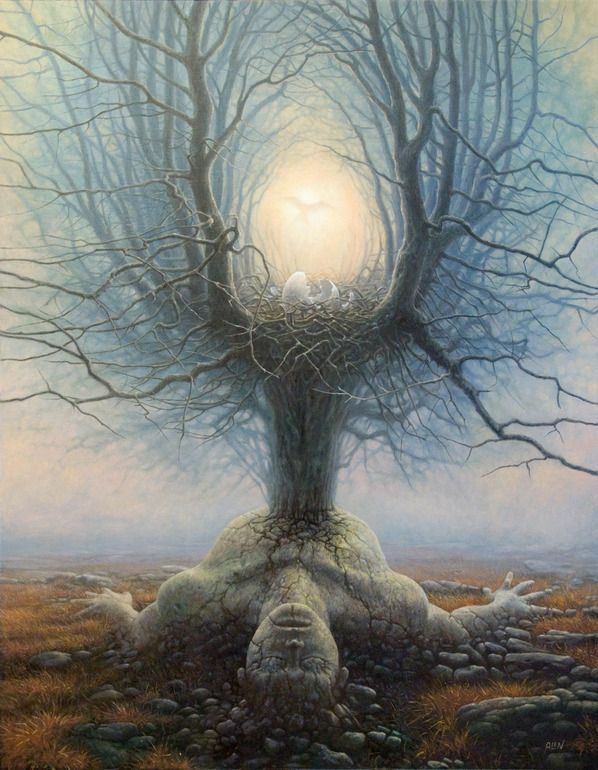 But there is another sense in which sacrifice remains an important part of Neo-Paganism, the mystical “sacrifice” of one’s ego to the divine forces of fate. It is natural to resist change and to, in the words of Dylan Thomas, “rage against the dying of the light.” We want to live forever. But this is not our fate as human beings. We must surrender to change. For Neo-Pagans, the inevitability of change is symbolized by the Wheel of the Year and the Spiral Dance of the Neo-Pagan Goddess. Neo-Pagans strive to surrender to that finitude which is represented by the dark aspect of the Goddess. Through surrender to our fate, we are transformed, not to endless life, but to a meaningful life in the context of the cosmic cycle of change, what Eliade calls “Eternal Return“. Joseph Campbell wrote, in The Hero With a Thousand Faces, that “The hero is the man of self-achieved submission.” “Only birth can conquer death,” wrote Campbell. Therefore, “When our day is come for the victory of death, death closes in; there is nothing we can do, except be crucified – and resurrected; dismembered totally, and then reborn.” In other words, we must not only come to terms with the fact that we will one day die, but we must also experience a change of consciousness whereby we cease to identify with our isolated individual ego-selves, and instead realize on a deep level that we are part of a greater whole that will survive our individual deaths. Mystics call this “ego death”.